Simon candidly revealed a cultural understanding of “evil” as “a cartoonish moral concept.” Evil, under this definition, is simply a subjective, cultural construct created to explain “what madness or imagined infraction might drive human beings to commit murder.” If this is true, nothing is truly evil; we’re just using this word as a form of subjective, cultural expression. But that doesn’t seem to capture what really happened in Syria. The painful execution of innocent children is objectively evil. It’s not a matter of personal or cultural opinion, and it’s more than a convenient word. 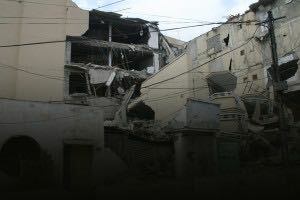 The events in Syria demonstrated the existence of true evil. Perhaps Simon struggled to recognize evil in this way because he interpreted it through a secular worldview. Evil, as it was exhibited in Syria, is best explained by a theistic worldview. In fact, the massacre in Syria demonstrates the existence of God. I first wrestled with the nature of evil as a homicide detective in Los Angeles County. I had a particularly difficult time investigating cases in which small children were murdered. The horror of these crimes was clear from an emotional perspective, but I began to wonder if that was the only reason we called such crimes “evil”. Is it only because they make us feel a certain way or because we don’t happen to like these kinds of acts? Is it really a matter of subjective, personal or cultural opinion, or are these kinds of murderous acts truly, objectively evil? In other words, are we the only moral standard, or is there an overarching, transcendent standard of “good” by which we judge something to be “bad” or “evil”? Evil transcends our opinions and “private fancies.” It’s more than a cultural construction; it’s more than a convenient word. True, transcendent evil requires the existence of a true, transcendent standard of good. Theism provides this kind of standard, because it’s grounded in the existence and nature of an objectively good Law Giver who transcends history and cultural opinion. Unless there exists such a transcendent source and standard, all “evil” is grounded in the subjective opinions of persons or people groups. If that’s true, those who committed the atrocity in Syria could simply argue that, in their cultural opinion, what they didn’t wasn’t evil after all. I’m encouraged that Simon has become more thoughtful about his use of the word “evil,” and I hope he eventually begins to think more deeply about what the word requires. Those of us who acknowledge the existence of God need to be equally thoughtful and prepared to show others why true evil requires a theistic worldview. And, of course, it can’t stop there. We also need to be ready to explain why an all-loving, all-powerful God, would allow such evil to exist. Atheists and theists alike have a duty to explain and respond to evil. As believers, we must develop a forensic faith that is knowledgeable, observant and ready to respond. If we can do that, we’ll be able to accurately define what happened in Syria and show how true evil demonstrates the existence of God. This article was originally posted as an Op-Ed at the Christian Post. 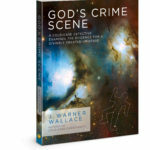 Some of the subject matter discussed here is excerpted from Forensic Faith: A Homicide Detective Makes the Case for a More Reasonable, Evidential Christian Faith. Previous Are Objective Moral Truths Merely a Matter of Cultural Agreement?